Penny came in to our lives on April 25, 2015 and she has dazzled us with her joyful personality, zest for life, and crystal blue eyes from the very start. As a toddler she now spends her days singing, dancing, and spreading sweetness wherever she goes. She loves to share with others, play instruments, jump in the ocean, sing her favorite songs, and do the Hot Dog dance! Penny is fierce and determined and will not let anything get in her way when she has a task to accomplish! She is feisty, smart, creative, and so much fun to be around. Penelope Joy is the light that shines in our lives daily and we are so thankful to be a part of her journey! The day after Christmas 2015 we woke to 8 month old Penny in a seizure and things have been a whirlwind ever since. She has had several status (dangerously long) seizures in her short life and many trips to the hospital. 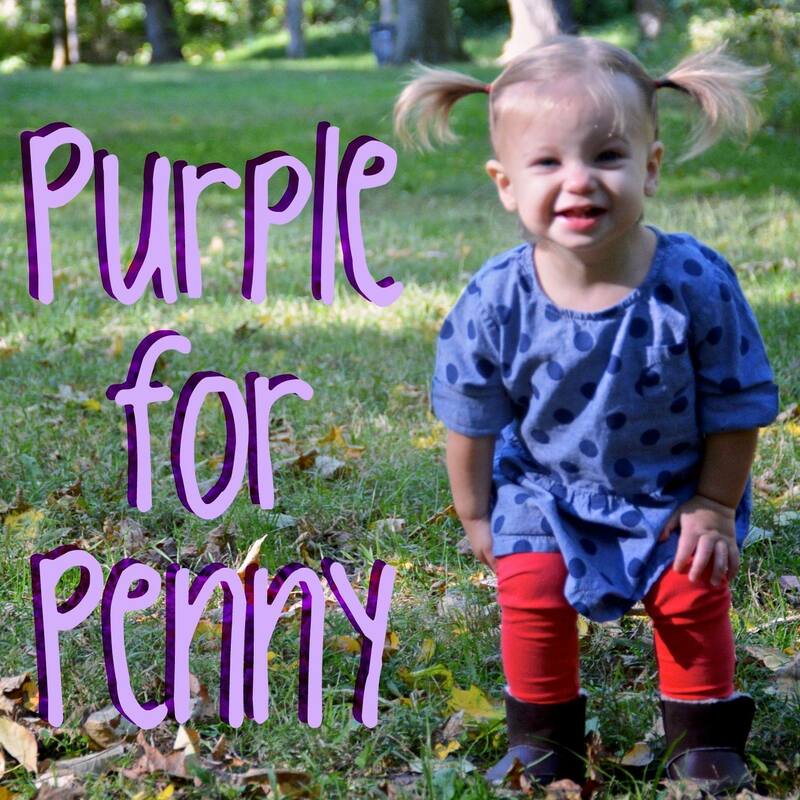 In March of 2016 we learned that Penny has a genetic mutation that predisposes her to seizures, and she was diagnosed with a condition called Dravet Syndrome. Dravet Syndrome is lifelong condition that includes the potential for many medical and developmental complications, including frequent life-threatening prolonged seizures. 1/5 of children with Dravet syndrome will not survive into adulthood. In November of 2016 Penny spent 9 days in the hospital initiating the Ketogenic Diet for Epilepsy. This medical diet requires every bite of food to be weighed to 0.1 gram. 90% of Penny's calories are fat in the form of oil, butter, or mayonnaise. This diet is very strict and has many side effects, but it is the best hope we have to keep her cognition in tact and her prolonged seizures at bay until a better treatment is found. Though the Ketogenic Diet has helped Penny in many ways, she continues to have small seizures each day; sometimes hundreds a day. The fear of a prolonged seizure is always present and we must be prepared at any moment to administer rescue medications. We work hard to give Penny the best life possible while remaining mindful of her seizure triggers (heat, illness, excitement, bright lights and overstimulation are some of the worst triggers for her.) Though the prognosis for Dravet syndrome is overwhelming, we are hopeful that research and treatments will come far before Penny reaches adulthood. Your support will help Penny and children like her by funding aggressive research to find better treatments for children with Dravet syndrome. Thank you for helping us reach our goal of raising $15,000 before Penny's 2nd birthday! Below is our list of runners who started their fundraising on our previous portal. 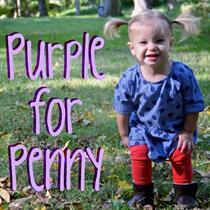 THANK YOU for running for Penny & her Dravet brothers & sisters!